Many more voters than previously realised cast their votes in local and national elections in eighteenth-century England.1 They were thereby creating – sometimes riotously and casually, but generally decorously and seriously – a culture of constitutionalism. It amounted to an emergent proto-democracy. It was not yet a full democracy, in which all adult men and women have a vote. Yet it was a culture which, importantly, chose to decide certain key disputes by casting equal votes and by then accepting the verdict of the majority. 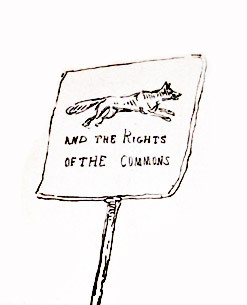 Satirical sketch of election placard in Westminster (1784), showing opposition candidate Charles James Fox as a wily fox with his slogan ‘the Rights of the Commons’. Despite the brickbats and satire, Fox won. This procedure was much safer and more rational than deciding by fighting; much more effective in winning wider consent than deciding by bribery; and much more involving for all participants than deciding by the casting of lots. Even if not all the eligible electorate actually chose to use their vote (and there were invariably some non-participants), they always had the option. A proto-democratic culture of constitutionalism promoted public debate about the candidates and the issues, as well as a basic respect for other points of view, which might turn out to have majority support. In the eighteenth century, the franchise was unfair and unequal, which made it a valid target for reformers. Nonetheless, in a few large constituencies with ‘open’ electorates, the number eligible to vote, via an urban freeman or rate-payer franchise, was very great. The key examples were the cities of London, Westminster, Norwich and Bristol. They had many voters (all men in this era), from a wide range of social backgrounds: from aristocrats to artisans, shopkeepers, and even some labourers. Votes were cast publicly2 – which meant that votes were open to challenge if the witnessing crowd doubted the eligibility of the voter – and the results were taken as registering public opinion, in the nearest the eighteenth-century constitution offered to a serious test of the views of political ‘outsiders’. Historically, the fact that Georgian England already had a voting tradition helps to explain how the country later made the transition into full democracy so bloodlessly. Already in the eighteenth century the rudiments of the electoral process were evolving: candidate speeches; party manifestoes; electoral slogans and placards;3 party colours; door-to-door election canvassing; ward organisations; celebrity endorsements; shows of public support in rival demonstrations and mass meetings; close scrutiny of the voting process; declaration of the results with, upon occasion, a formal challenge and recount; and, finally, acceptance of the outcome. (The Georgian custom of chairing the successful candidate around town was not always implemented then and is today not considered obligatory). Not only were parliamentary and civic elections contested in these large open constituencies, but during these years the practice of constitutional voting was becoming adopted in many other, different circumstances. It pointed away from the troubled civil wars of earlier times towards a calmer, safer society. Many different non-governmental institutions used the mechanism of voting, for example to determine their own membership. For example, in numerous private clubs and societies, potential recruits had first to be nominated by one or more existing members. Then votes were cast secretly, for or against; and any candidate who was ‘blackballed’ (negatived) was declared to have lost. This practice continues in some private clubs to this day. It was (is) a particularly severe test, since the excluded candidate might have won a large majority of all votes cast. In that case, it could be accused of being anti-democratic, allowing a small group to negative the will of the majority. The moral, in all cases, is that the rules for voting are crucial in framing how each voting system works. Other non-governmental organisations which used some version of balloting in the eighteenth century included bank management boards and charitable institutions like London’s Foundling Hospital, established in 1739. That body used voting by its Trustees to recruit new Trustees, when existing ones died or retired. Clearly, these were socially exclusive bodies. But they were upholding the convention that each vote from a valid voter has equal value and that the will of the majority should prevail. Importantly, too, it’s known that some middling- and lower-class groups used the mechanism of voting to resolve disputes over appointments. For example, a number of Nonconformist churches chose their ministers by such means. The Congregationalists in particular valued this procedure. Potential candidates would appear before a congregation, preach a sermon, and then submit to a vote, no doubt after further behind-the-scenes canvassing and enquiries.4 In these ways, many people had the experience of participating equally in a collective decision to find out what the majority (including those who were not so vociferous) really wanted. So what follows? Firstly, the culture of voting is one to be appreciated – and used. Secondly, the constitutional rules for each system of voting really matter. They should be clearly framed to allow each system to operate fairly within its remit – and the rules, once established, should not be tampered with for partisan advantage. And lastly, electors should not be summoned frivolously to the polls. That way, disillusion and apathy develop. Look at the low turnout for elections to the European Parliament. And there’s a good reason for that. Electors know that the institution has no real power. It is not a supreme legislative or tax-raising body; and, unlike a national Parliament, no executive government is either constituted from its ranks or is scrutinised closely by it. The current arrangements do no good for either the European Union or participatory democracy. Sham elections are destructive of a genuinely civic process, which needs to be cultivated, valued, and made real – not mocked. 1 P.J. Corfield, ‘Short Summary: Proto-Democracy’, section 1.7, in E.M. Green, P.J. Corfield and C. Harvey, Elections in Metropolitan London, 1700-1850: Vol. 1 Arguments and Evidence (Bristol, 2013), pp. 55-67; also in www.londonelectoralhistory.com, section 1.7. 2 See P.J. Corfield, ‘What’s Wrong with the Old Practice of Open Voting: Standing Up to be Counted?’ BLOG no. 53 (May 2015). 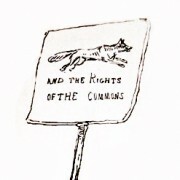 3 BLOG illustration from Rowlandson’s Procession to the Hustings after a Successful Canvass (1784) in http://www.magnoliasoft.net/ms/magnoliabox/art/547698/procession-to-the-hustings-after-a-successful-canvass-no14 (detail). 4 Over time, however, the clergy’s professional qualifications tended to be emphasised over the power of congregational election: see J.W.T. Youngs, The Congregationalists: A History (New York, 1990; 1998), pp. 69-70.